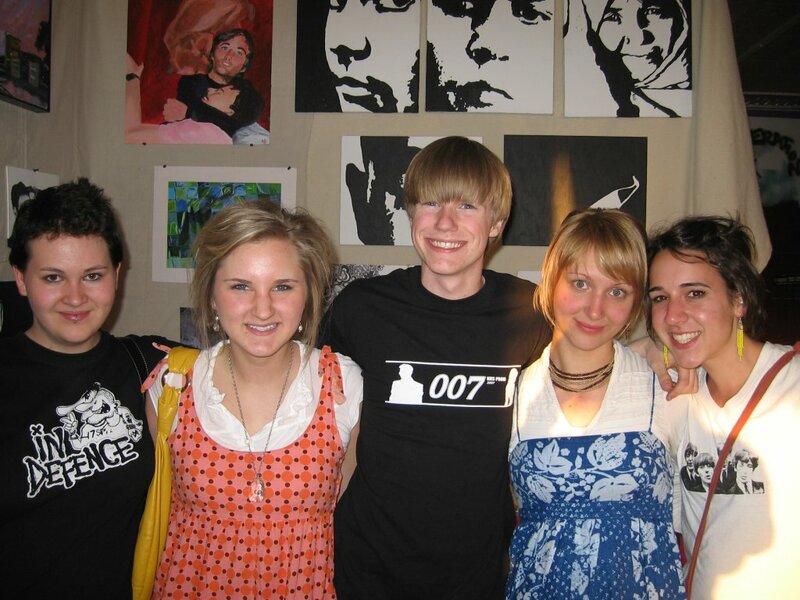 Nick Sinclair had his artwork on display at By All Means Graphics during Friday night’s Art Crawl. 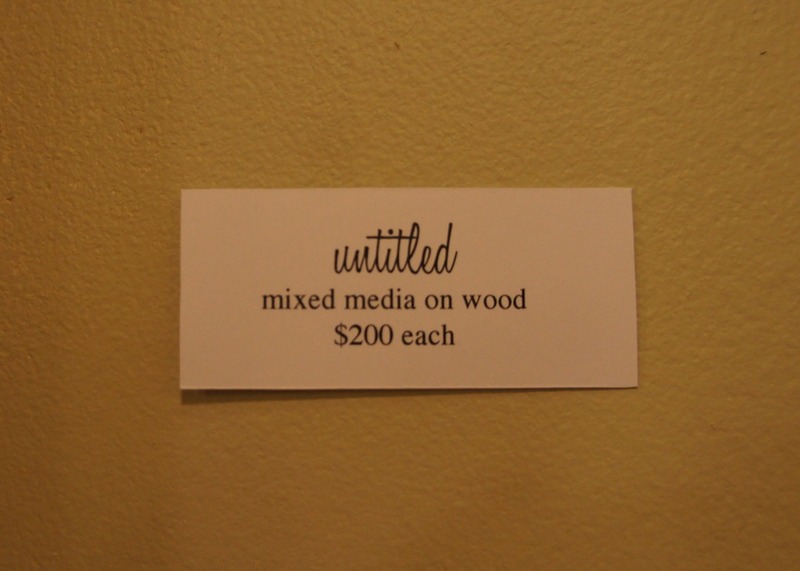 When I noticed that the series of four ‘mixed media on wood’ pieces were untitled, I offered to post a photo of them here in hopes that LoGro readers might suggest some names. For reference, refer to the four as: Left, Left Center, Right Center, Right. My suggestion for Right Center: The Girls. 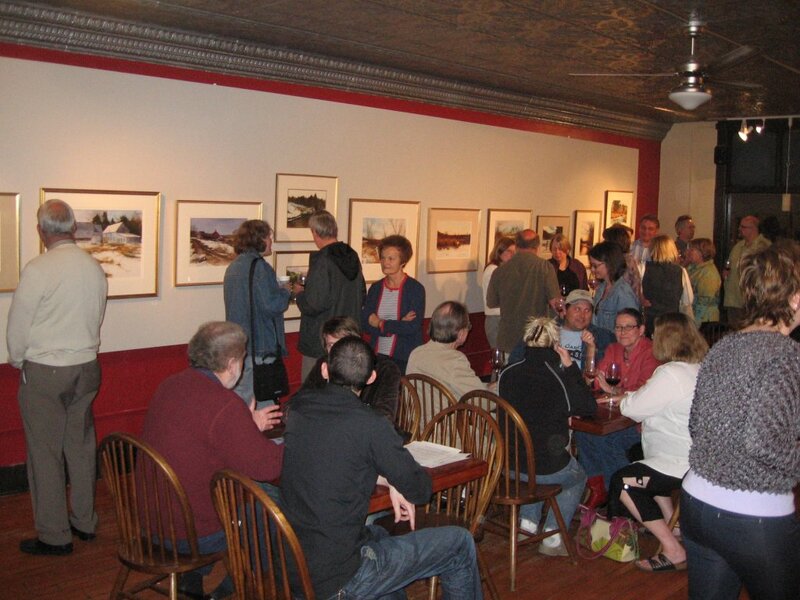 The spring 2007 Art Crawl was held on Friday night. 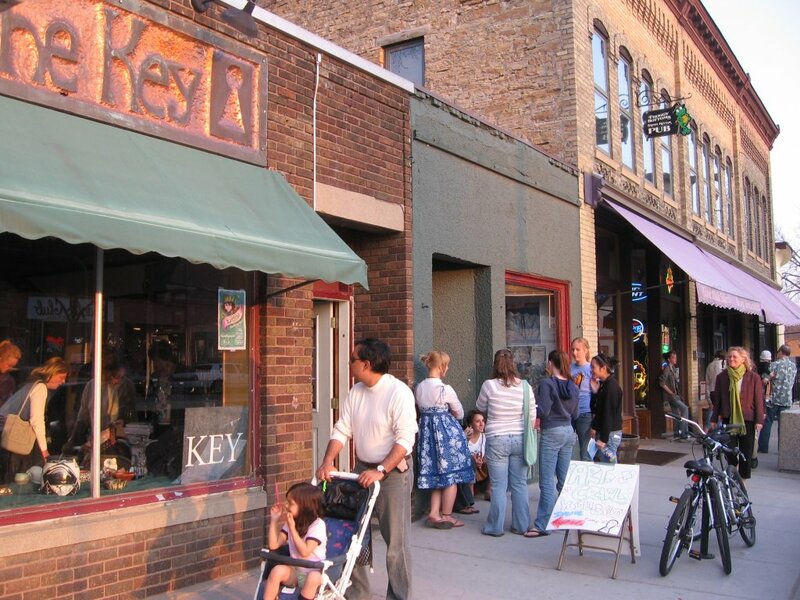 Left: lots of art crawl traffic to the downtown’s west side in front of The Key. 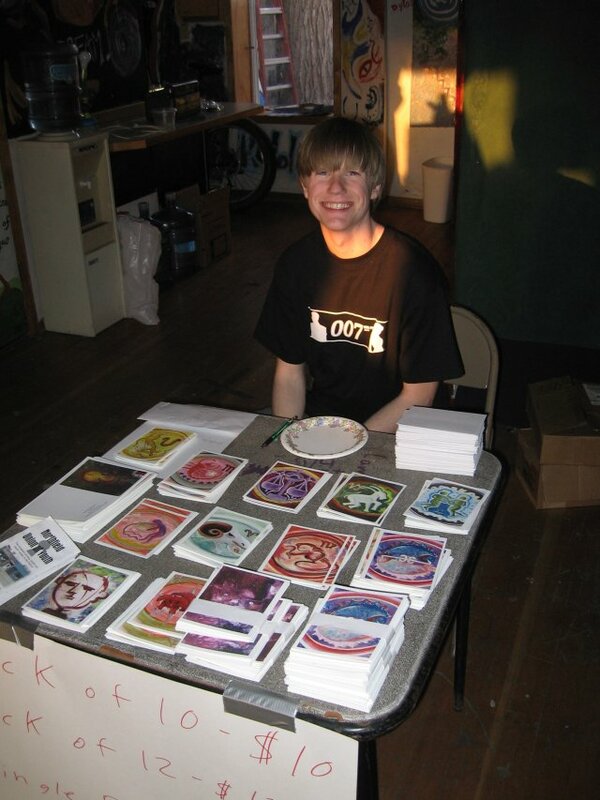 Center and right: Joe McGowan, Union of Youth youth board member, managing the crowds and the cards. Left: Victor and Kiffi Summa opened up the old Bagel Brothers space (currently available to lease!) to display art by high school students. 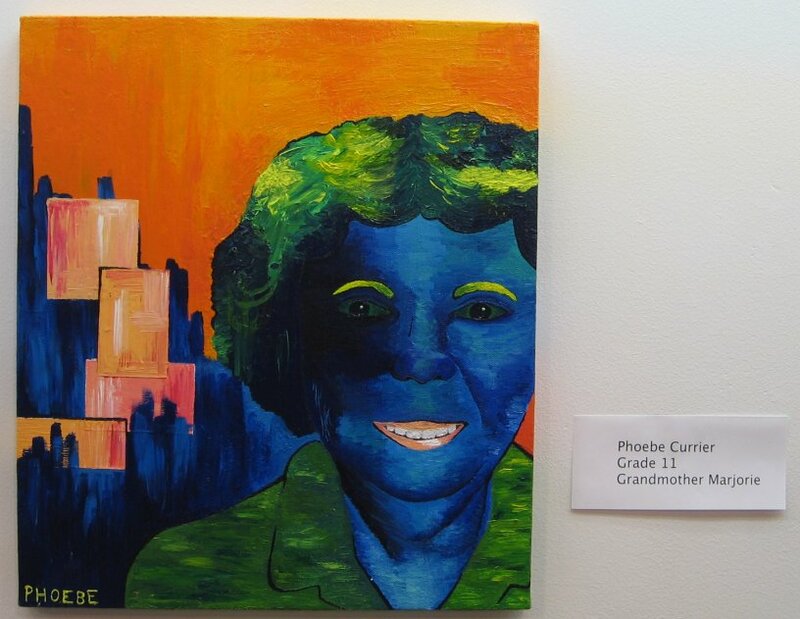 Center: Phoebe Currier’s painting of her grandmother, Marjorie Cox. 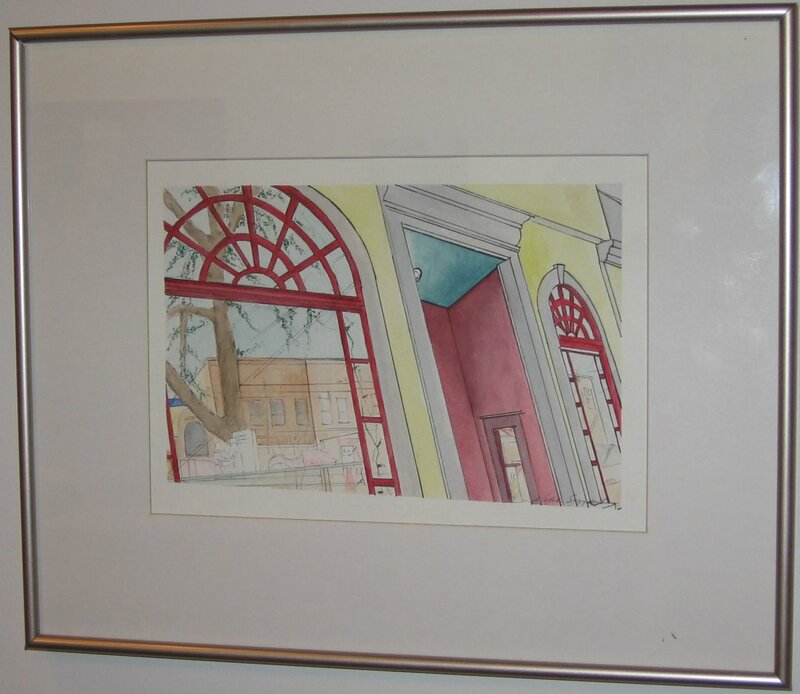 Right: Nikki Sheppard’s painting of Oolala. The Ole Store hosted a post-crawl gathering. 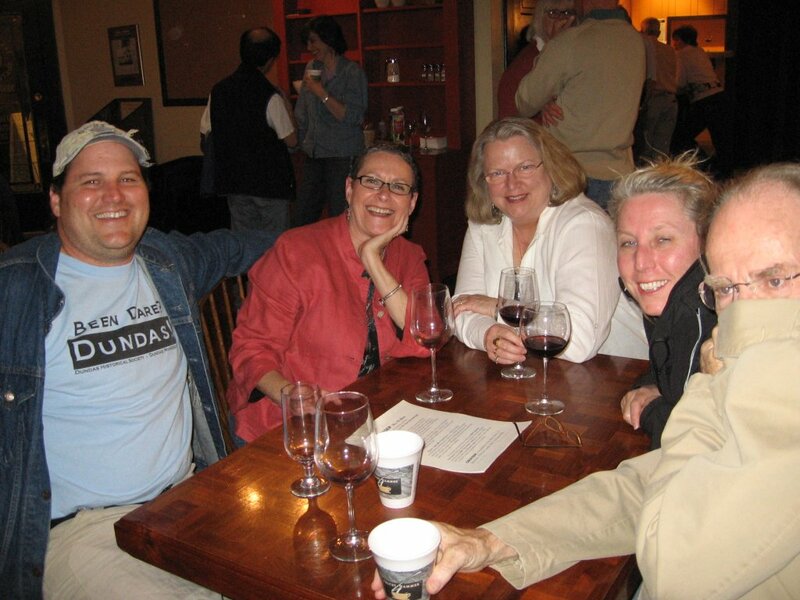 Right photo, L to R: Glenn Switzer, Sue deMalignon, Bonnie Jean Flom, Michelle Millenacker, Bad Bart deMalignon. 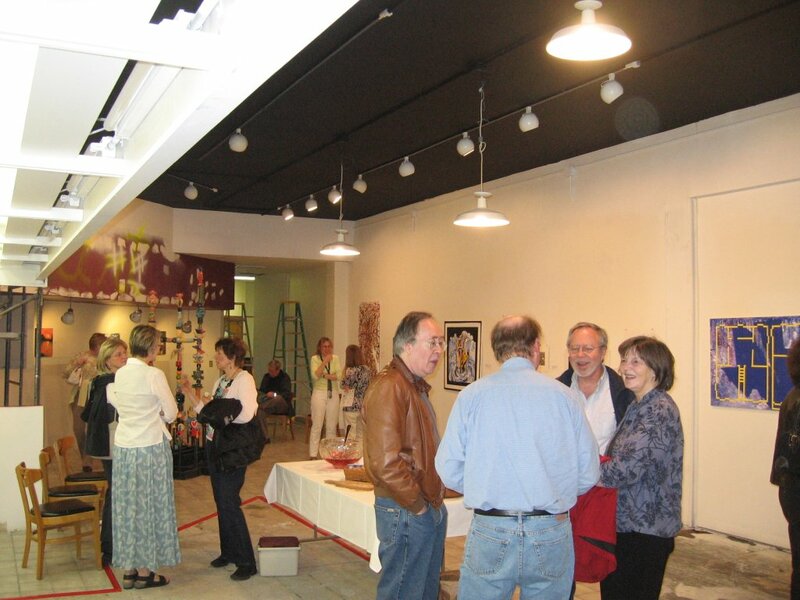 Click photos to enlarge and see more in the Spring 2007 Art Crawl photo album.